a city in Swiss Alps filled with traditional chalets, tourists and Swiss Mountain dogs. Those who follow me on Instagram remember that we visited Grindelwald last weekend. I will share a review of the amazing family-run hotel that we stayed in my next article. Now, all I can say is that discovering Swiss-German part of Switzerland makes me fall in love with this country again. 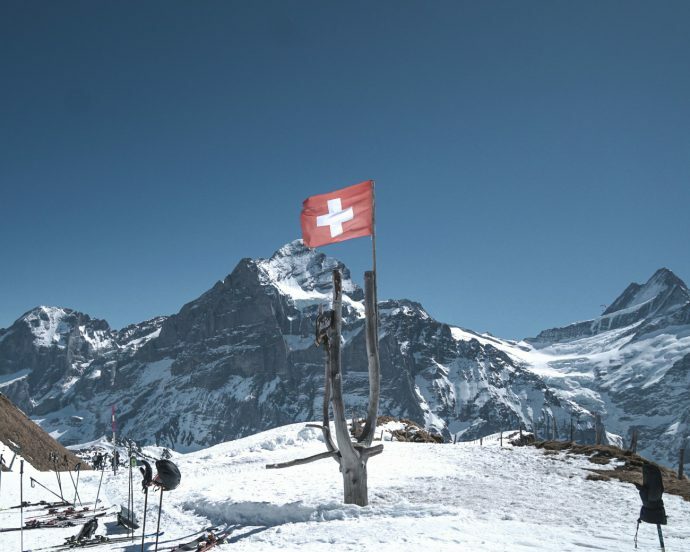 It’s great that you don’t need to ski or snowboard to have a great time in Grindelwald. 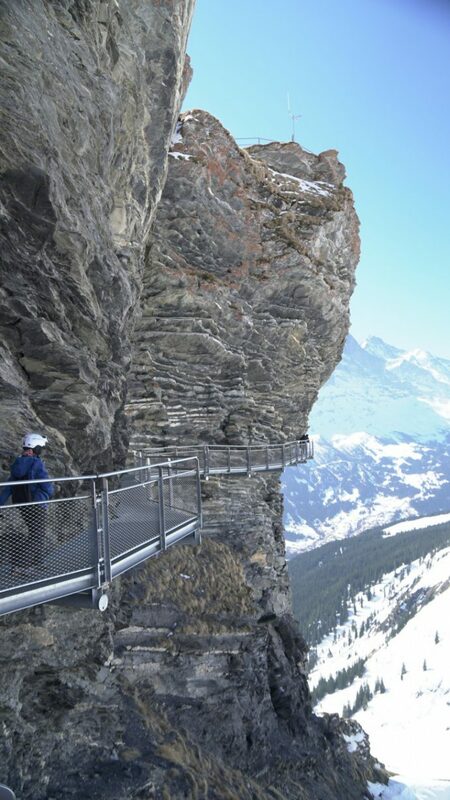 If you take a ski lift up to the Grindelwald First summit, you can enjoy the panoramic view from the First Cliff Walk (see the last photo), sunbath on the terrace of the Bergrestaurant or hike up to the Bachalpsee lake. But if you plan to ski or snowboard, the ski slopes and snowparks are full of fresh snow, easily accessible by a ski lift, and suitable for both beginners and experienced skiers (snowboarders). We had a long discussion with Chloe-Sofia about snowboarding since she really wanted to give it a try. But until she’s three years old, she ahs to wait. At first, we planned to visit Jungraujoch mountain (3,454 m above sea level) but with train tickets at 190CHF per person, it was quite an investment. The good thing is that it will not go anywhere and we can come back in summer. What to pack for a day in the mountains with kids? list of emergency numbers, a map of the area, and a fully charged mobile phone. What a stunning scenic view! Amazing photos dear. Thanks for sharing! I really like your travel videos, well done! I’d love to go there! Not just because of the name but also because it looks gorgeous! Amasing! Beautiful! I fell down with this beautiful country too. Great video, great music.